A credit reporting agency (CRA) may not be interested in admitting and rectifying its mistake on your credit report and may even deny any charges of causing you endless troubles due to credit damage. In such a case, the law is on your side and hence, you can always take additional steps to resolve the crisis. The law entitles you to dispute any kind of discrepancy or misinformation in your credit report. On receiving your formal, written complaint, a certain CRA has to either omit the misleading information or conduct a separate investigation regarding the matter and keep you abreast with all the developments in relation to your complaint. Often, CRAs respond to such complaints that the concerned creditor who reported the information has authenticated the accuracy and the completeness of the information furnished. Hence, you’ll be notified about the information and that it would continue to show up on your credit report as per its time-limit. In case a CRA declines on your request to have a particular wrong tradeline dropped or corrected, then you have a host of legal alternatives to fight back and make them yield to your demands. However, you need to take a more aggressive approach toward dealing with the credit reporting agencies in order to clean up your credit report. And yes the whole process could be cumbersome and frustrating. Primarily, you’ll have to get in touch with your creditor or the debt collector responsible for the wrong information and ask that the credit reporting agency be notified to have it removed from your credit report. However, if you’ve already spoken to the creditor directly, then you are no longer required to speak on the same matter, unless you have new information to share. The key is you’ll have to be strong and resolute in your view about the inaccuracy of the information reported and claim that your complaint was not investigated properly, then it is very likely that the CRA will respond to your demands. Pay a visit to your creditor or the bill collector, if they are local and operate within your state or county. You may wait at the office of the customer service department, president or vice-president of marketing or even the chief executive of the company and discuss your grievances as well as the ways to have them resolved. Stay put until you are provided with an opportunity to meet someone and pay heed to your problems. It is important to keep in mind that you always have the right to ask for attention and if a creditor has validated inaccurate information, then such information must be deleted from your credit report. In the event you receive a letter from your creditor or the debt collector accepting that the information furnished by them to the credit reporting agencies were incorrect and that they have agreed to have those rectified, then you should send a copy of that letter to the respective credit reporting agencies. In case a creditor isn’t cooperating with you or helping you out in rectifying the blunders, then you may call the credit reporting agencies on your own. The CRAs have a toll-free number put in place to handle customer queries and disputes about incorrect tradelines in the credit report prepared by them – something that does not get removed under normal reinvestigation process. File your complaint against the CRA. 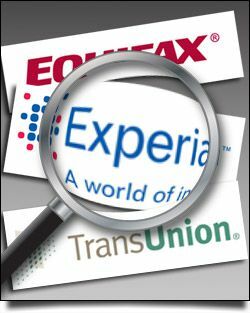 The country’s apex consumer redressal forum, the Federal Trade Commission (FTC) has an online form in its website (http://www.ftccomplaintassistant.gov/) where you can lodge a complaint against a rogue credit reporting agency. Apart from that, you can lodge your complaint with the FTC over phone at 877-382-4357. You can even mail them your complaint at FTC Consumer Response Center, CRC-240, 600 Pennsylvania Avenue, NW, Washington, DC 20580. Knock at your State Consumer Protection Agency’s door. There are some selected states where they have laws to protect the interest of their people against rogue credit reporting agencies or the creditors who are providing them with their consumers’ information. Lodge a complaint against your CRA with the state’s attorney general or at the local consumer protection agency. Protecting your credit is very important as this would serve as a tool to evaluate your financial health and creditworthiness. Therefore, if all the tactics mentioned above to make the CRA toe the line, then you can file a lawsuit against it. However, you must consult a lawyer before doing so as the Fair Credit Reporting Act (FCRA) provides several ways to avoid any sort of liabilities in these matters.